I was a little surprised this year when you declared Halloween your very favorite holiday (over Christmas?!). 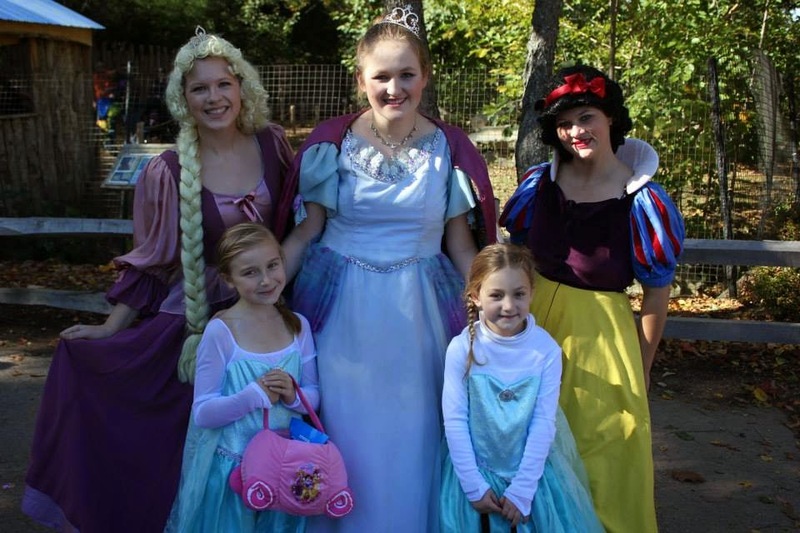 I guess the element of dressing up mixed with tons of candy equates to your best day ever. In our case, this year (your 5th Halloween) was more like a best week ever. 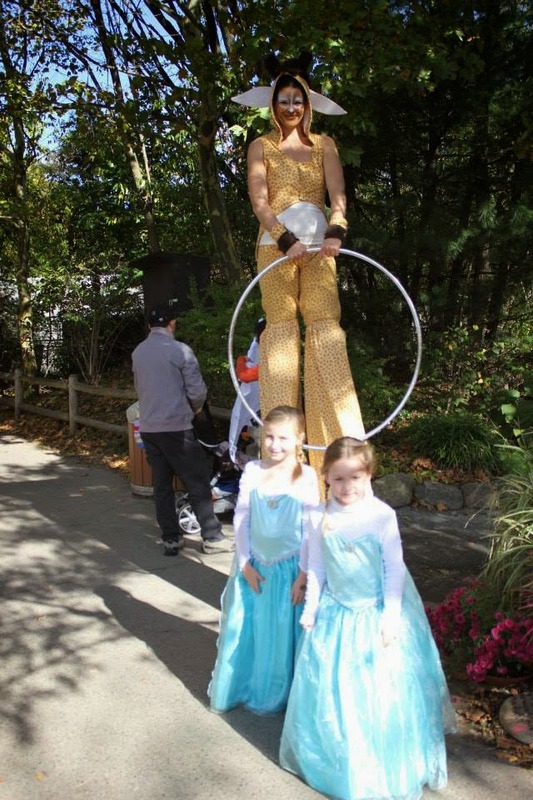 We started with trick or treating at the zoo the Saturday before Halloween. 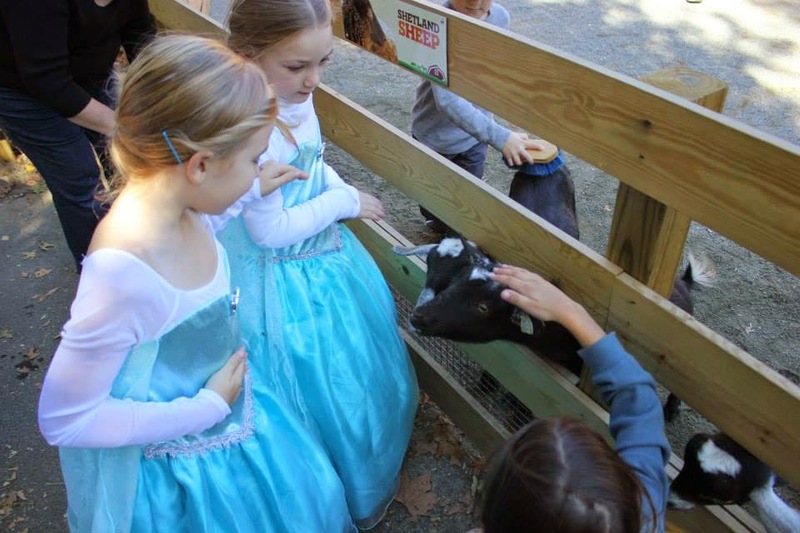 I just love how for the normal cost of admission, our community zoo has special events for the kids throughout the year (remember the Roger Williams Zoo Easter Egg hunt & meeting the Easter Bunny?). 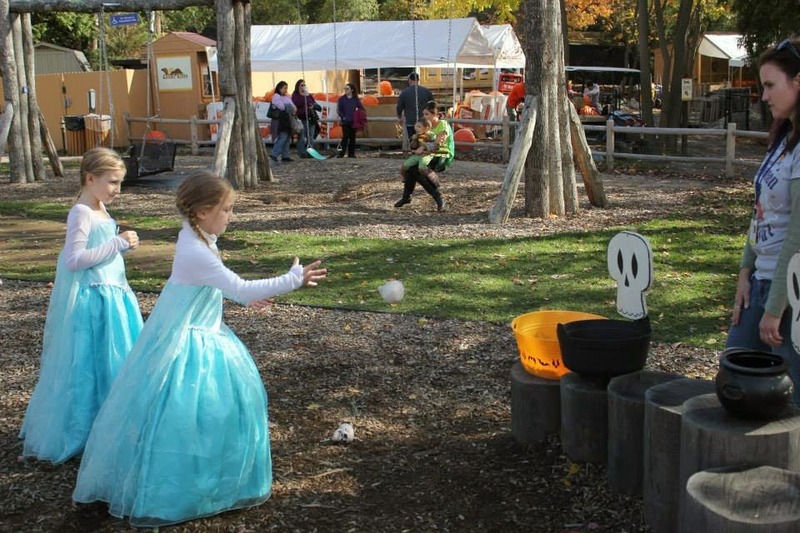 As you walked past the animal exhibits, there were vendors set up throughout the zoo with snacks & candy for the kids' trick or treating delight. 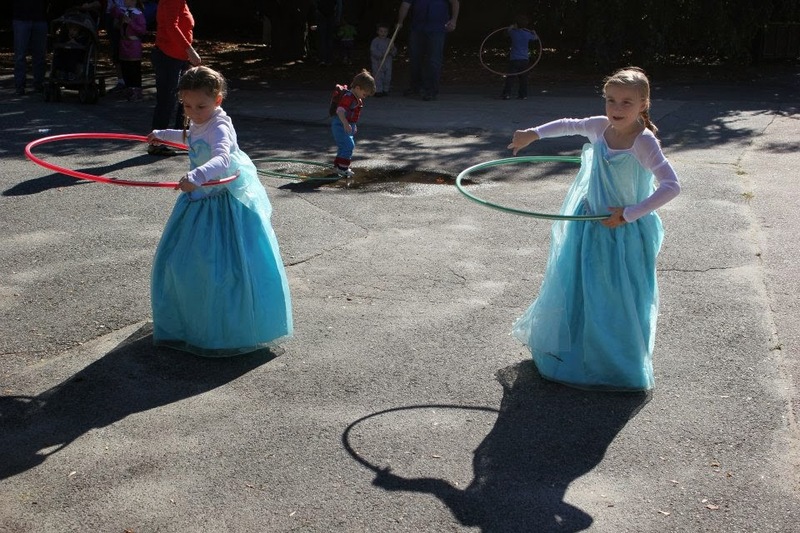 There were also fun games & activities dispersed throughout. You & your best friend S had a blast. 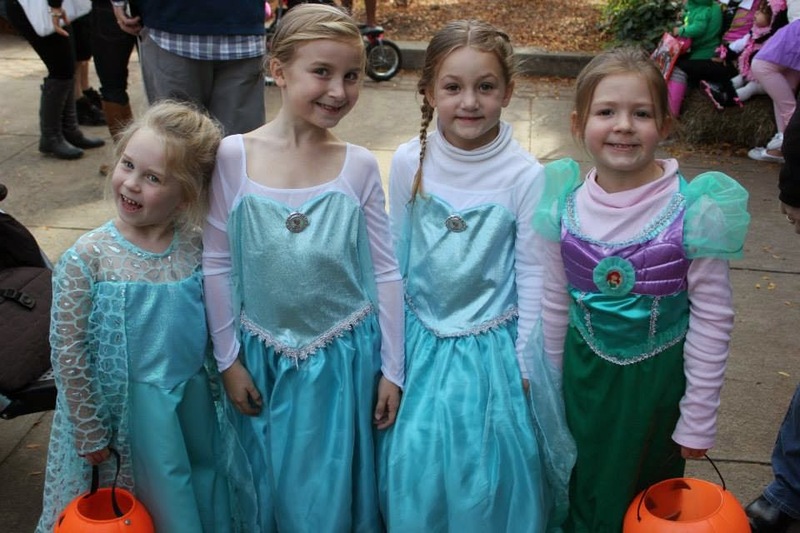 We may have passed a million Elsas (& Annas & Olafs), but you loved every second in your own Elsa costume. 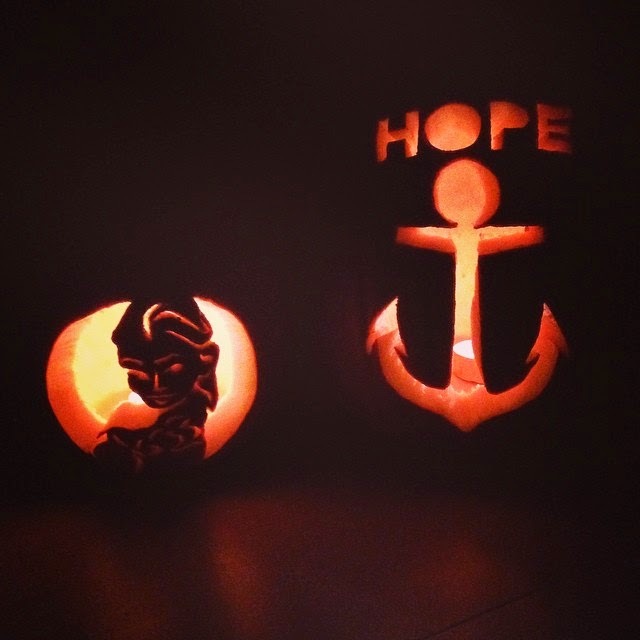 We carved our pumpkins during the week. 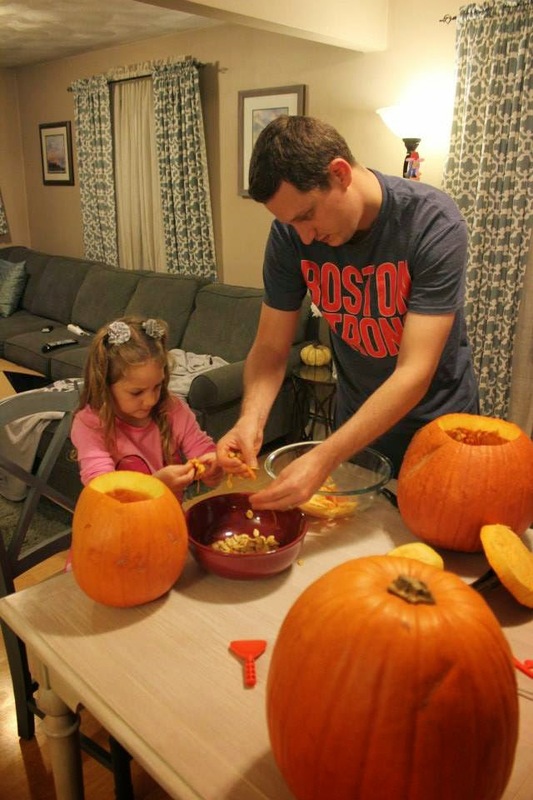 While you wanted your own carved pumpkin, you hoped Daddy & I would do all the work. 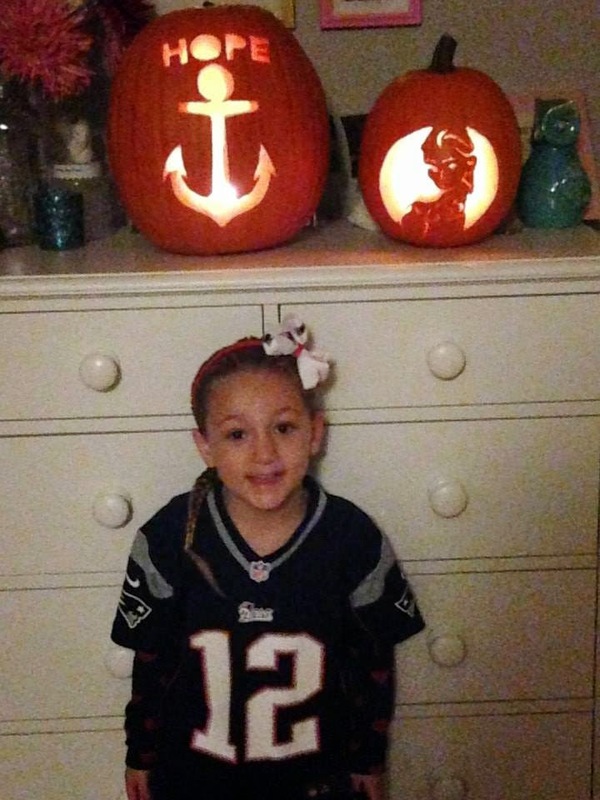 We tried to involve you in the jack o lantern making when you were one. You hated the slimy feeling of the pumpkin insides & wanted no part of the process. 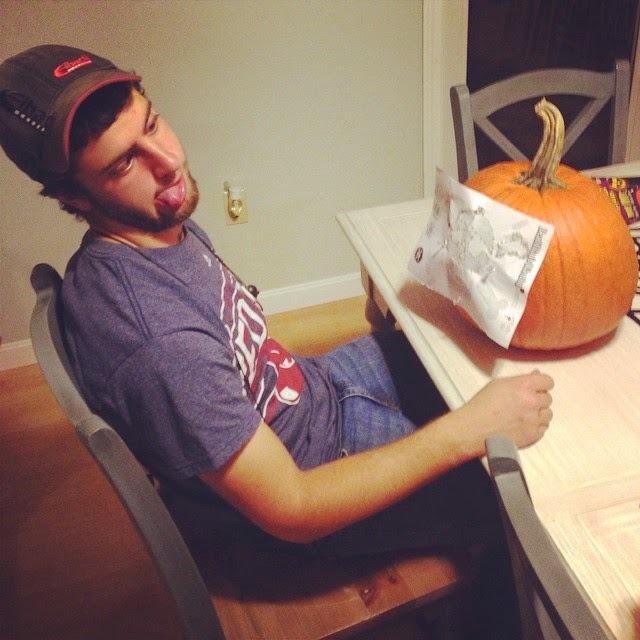 Your feelings about pumpkin carving haven't changed since then. However, this year I told you if you wanted your own carved pumpkin, you were going to have to clean out the insides. 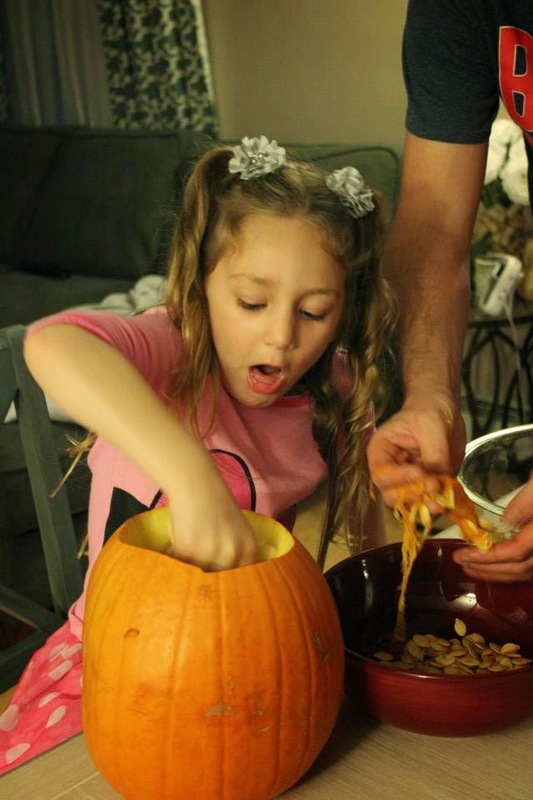 You gagged the first time you put your hands inside your pumpkin, but soon you were having fun. 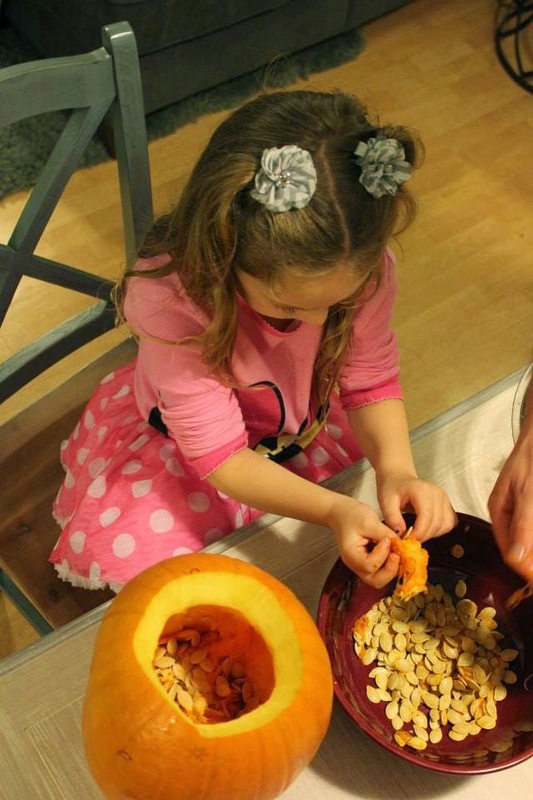 You helped us sort the pumpkin seeds from the rest of the pumpkin innards. 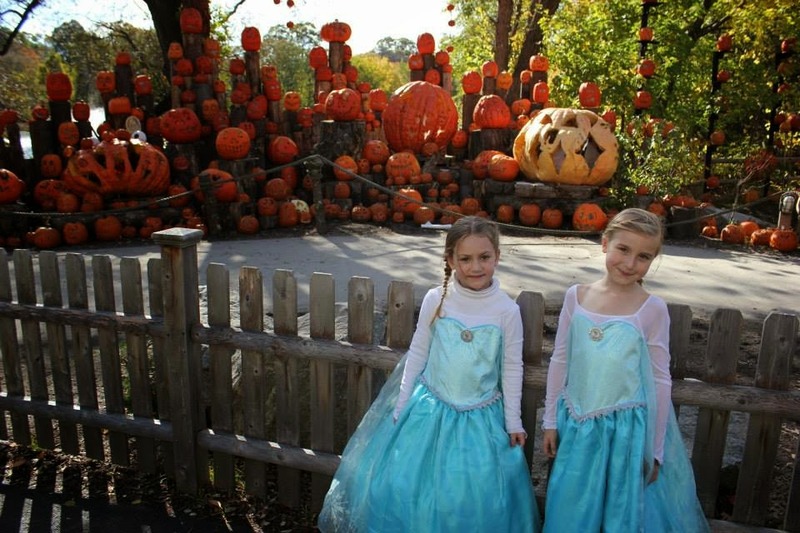 Then Daddy carved Queen Elsa into your jack o lantern. It was tough, but he did a great job. It was still dark out when you woke up the next morning. 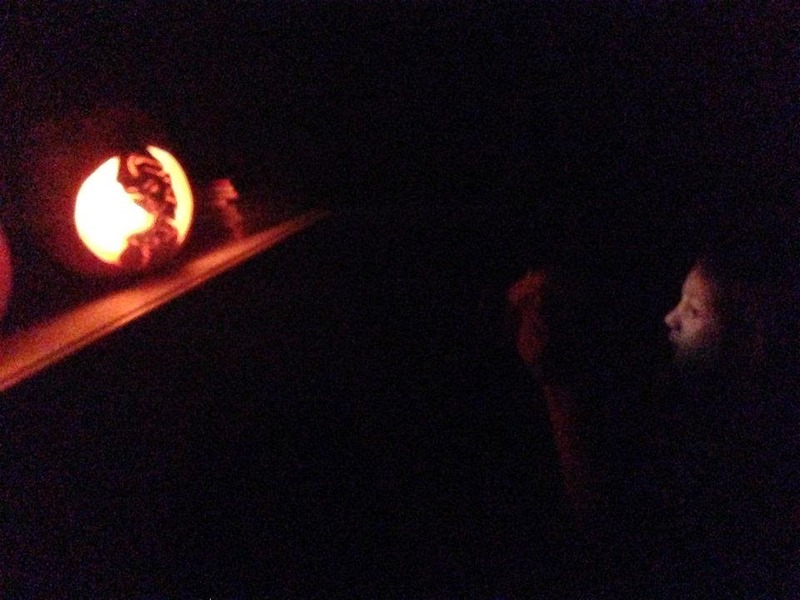 You were thrilled when I lit the pumpkins in your bedroom so you could see the final results. 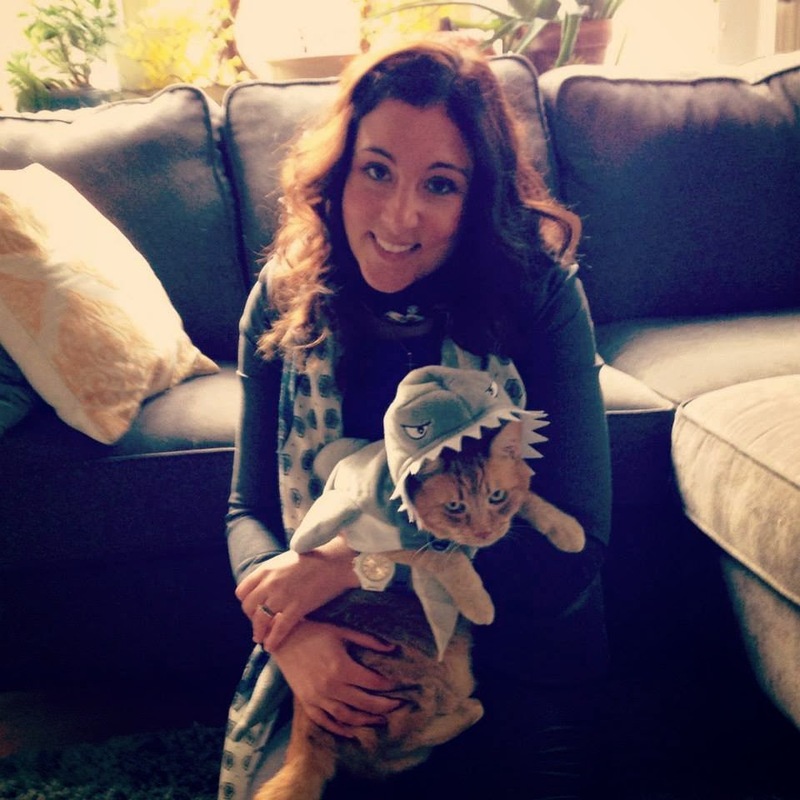 I went to a store where Halloween items were 70% off & picked up Halloween costumes for the cats for less than $5. Joey was to be a grumpy lion, but he was too grumpy to let us get close enough to him to put the costume on. 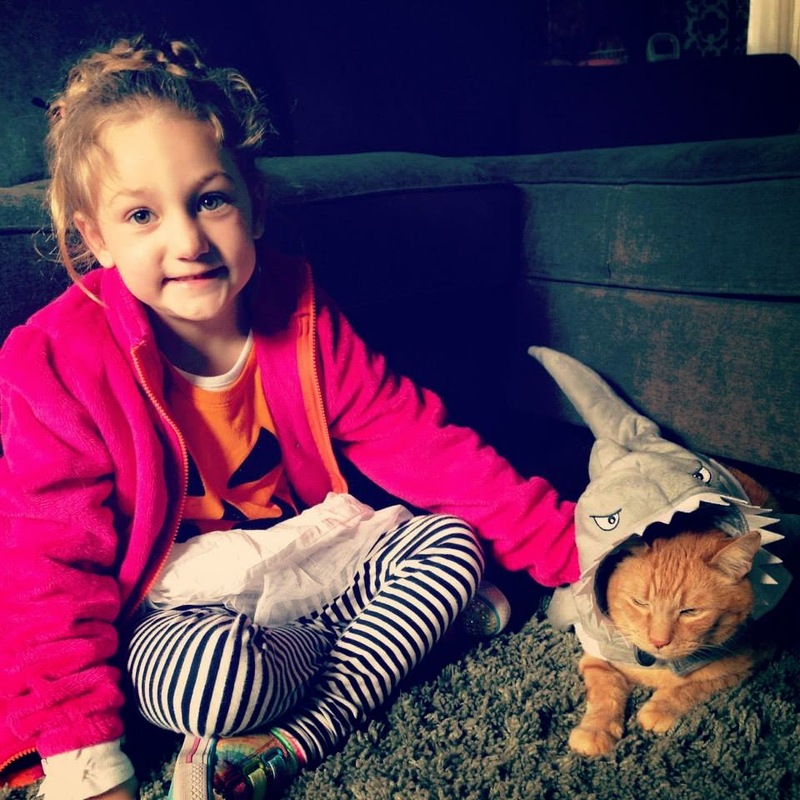 Charlie was Daddy's favorite, a shark. He really wasn't loving life as a shark, but Charlie was a good sport. Unfortunately, both cats were party poopers when it came time for actual Halloween, & they spent the day costumeless. Your school held spirit week that whole week, & on the day of Halloween you were able to go to school in your costume. I dressed you with a turtleneck under your costume. You HATE turtlenecks, & it was a point of contention that morning. 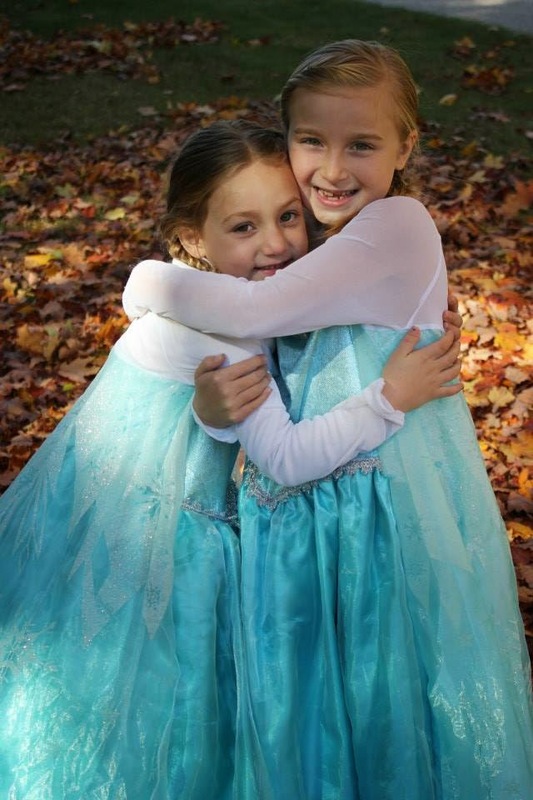 "Well, you know Mom, Elsa didn't wear a turtleneck,"you argued. 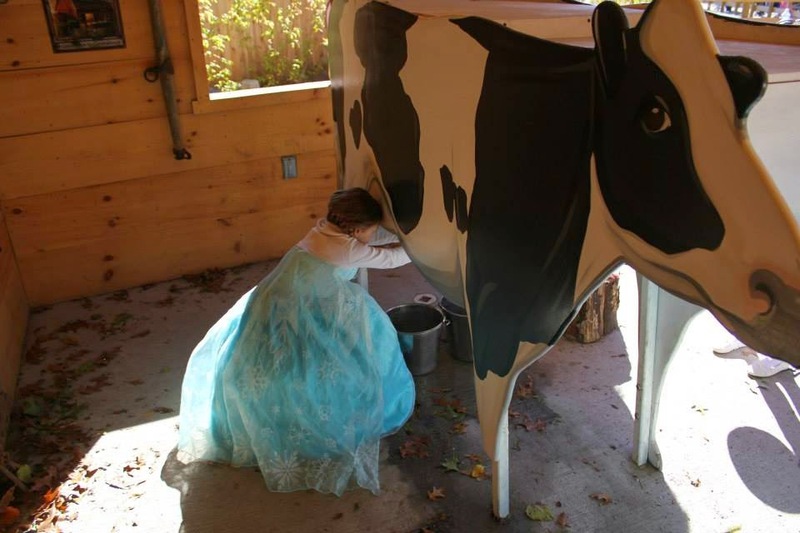 "Well, I'm sure she wished her Mommy had given her one. She must have been very cold," I countered. "No she wasn't, Mom." "I'm sure she was, Em." "No, she wasn't, Mom. Don't you remember? She said, 'the cold doesn't bother me anyway.'" Sigh, outsmarted by a four year old. 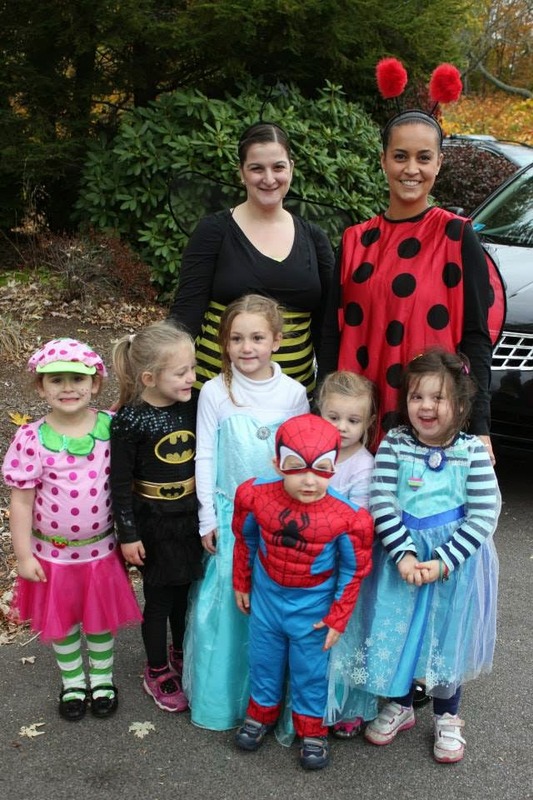 This was your last Halloween celebration at your preschool, & I got a little weepy thinking about it. 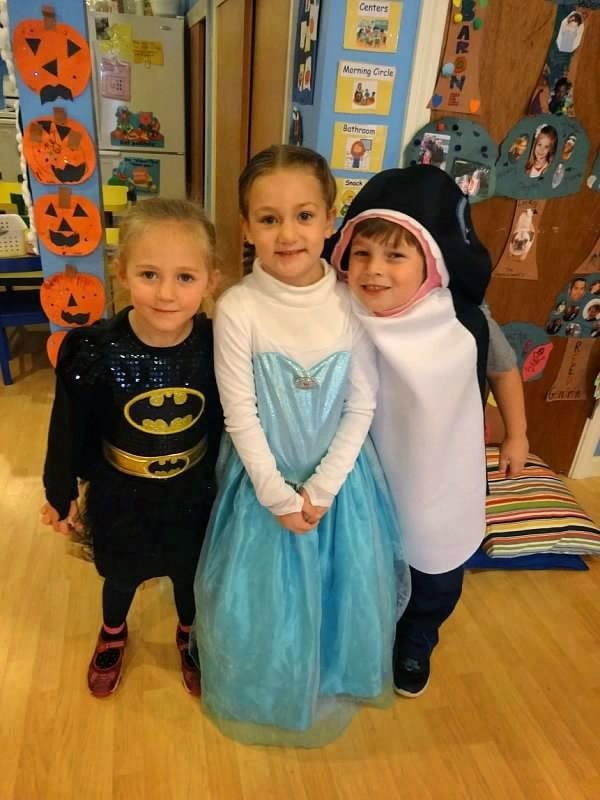 During the day, you went trick or treating with your classroom. Uncle Jared & I joined you in the afternoon for the Halloween party & school parade. 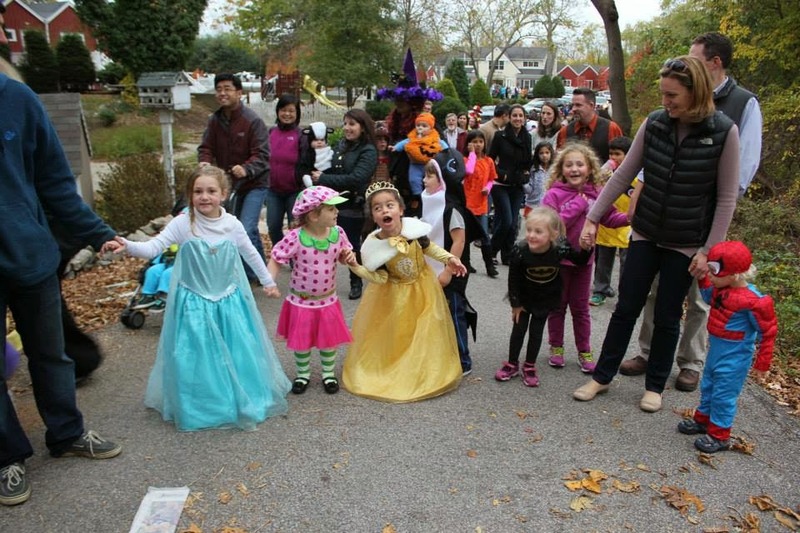 The Halloween parade is always my favorite. 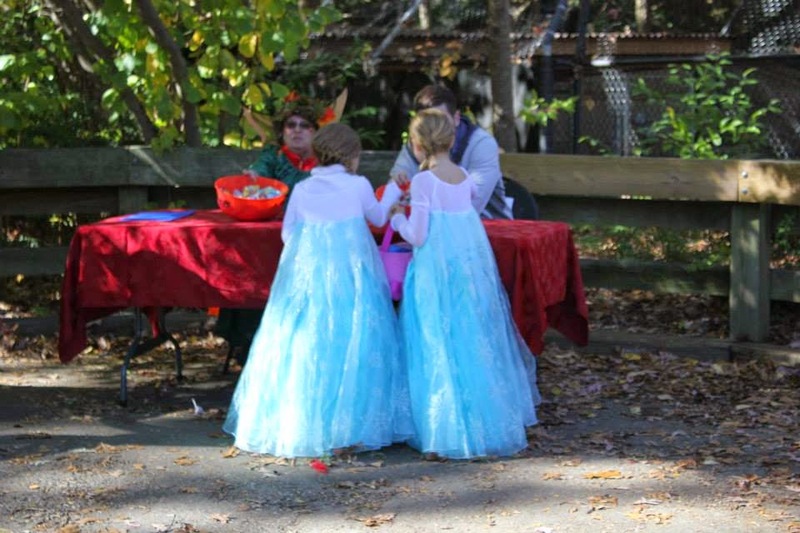 There are so many cute littles in costume. 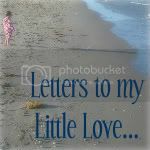 It is one of the most adorable things I will ever see in my life. 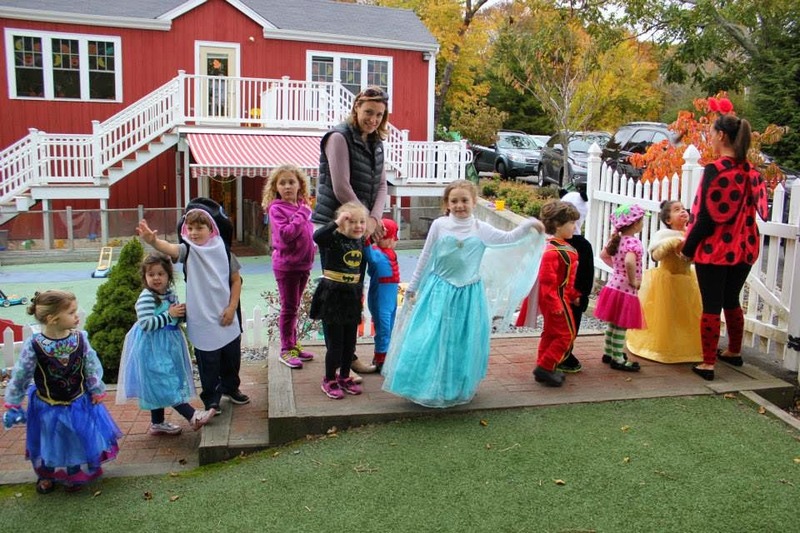 After school, we headed to Mystic Village for some trick or treating at the shops. 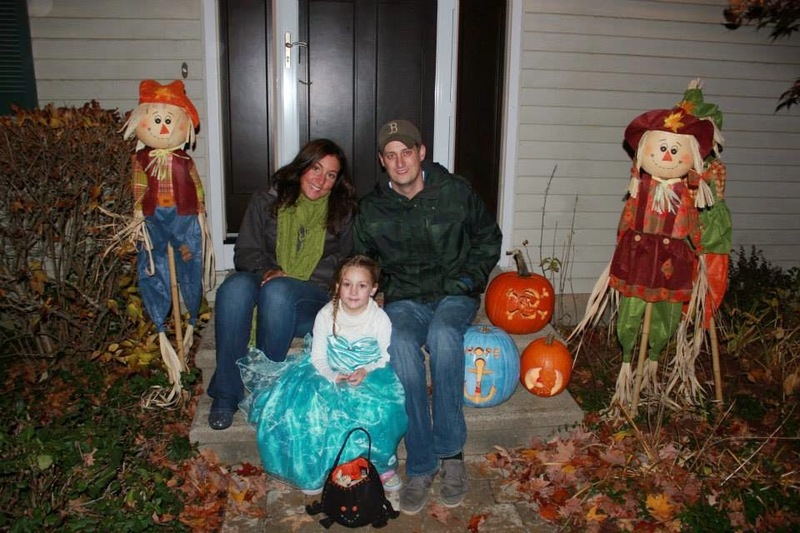 It was pretty special to have your uncle Jared with us this Halloween. The last time I went trick or treating with my little brother, he broke his arm (he was four & slipped & fell in the leaves). 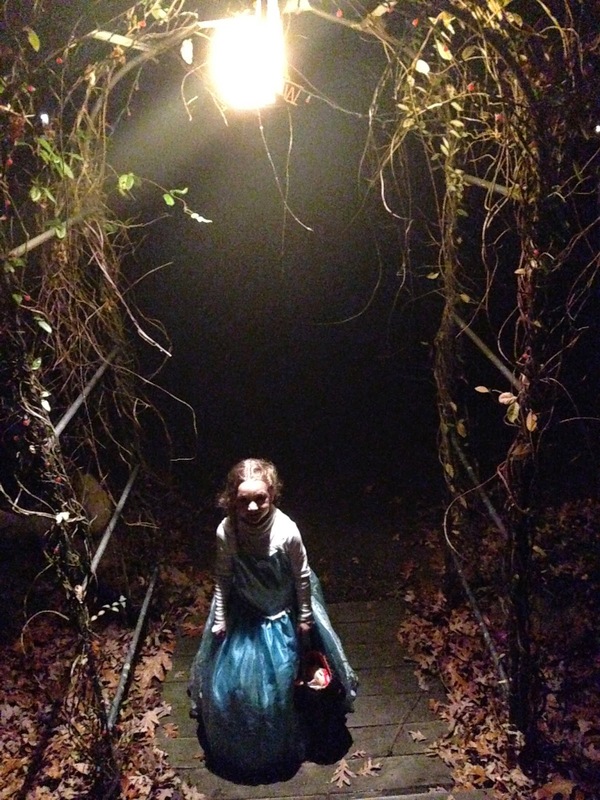 I'm glad we had a happier trick or treating experience this year. 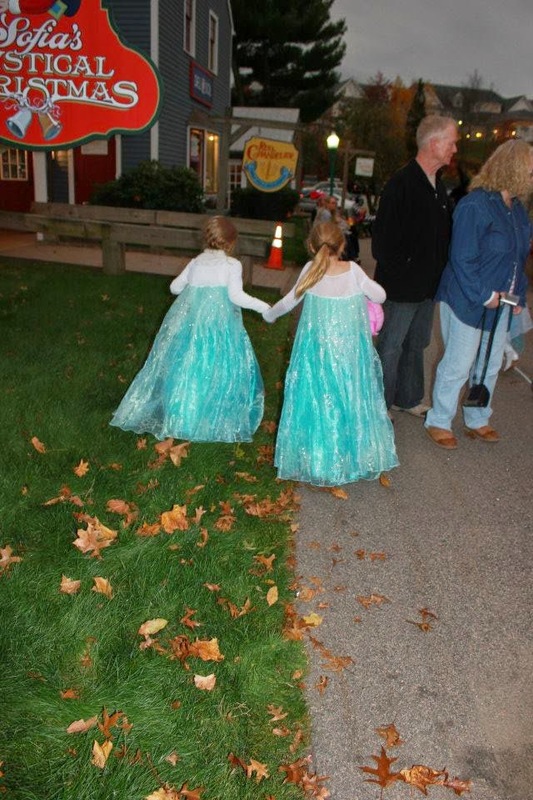 It was so sweet to watch the two of you walking hand in hand as you trick or treated. 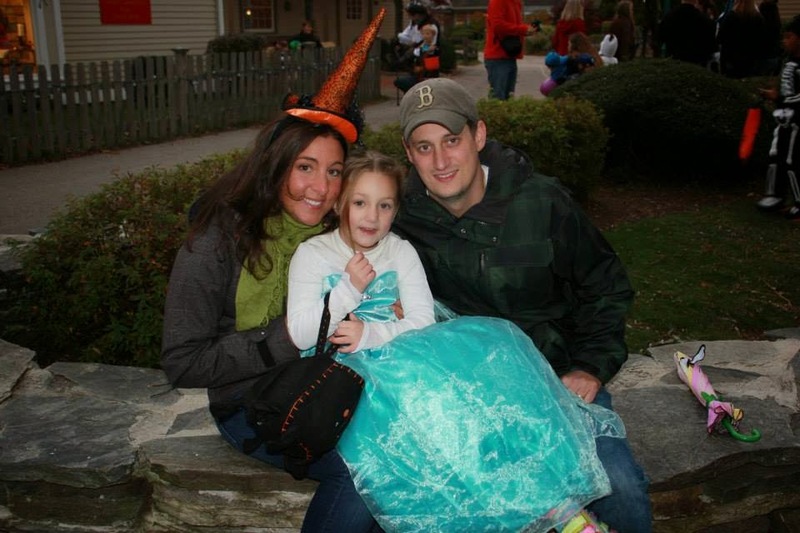 As has been tradition since your very first Halloween, your best friend S joined us (& poor Uncle Jared was left behind). 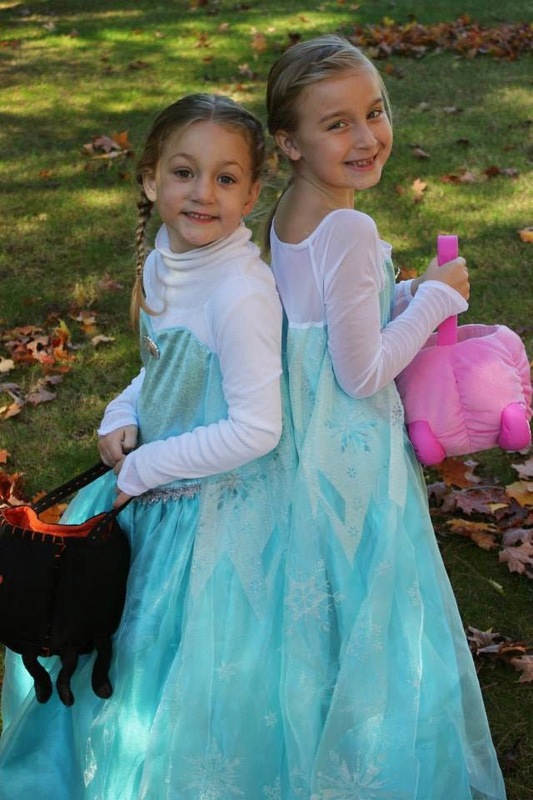 You two were so sweet trick or treating together this year. 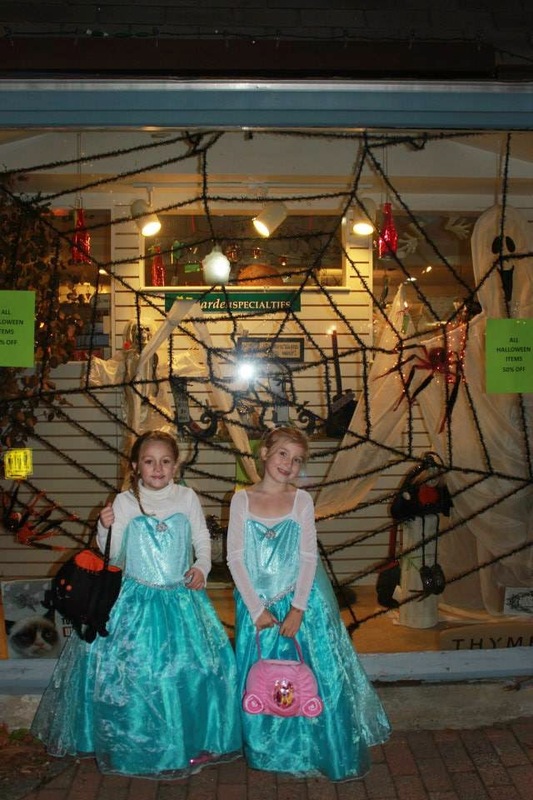 This was the first year we decided to take you trick or treating in our neighborhood after Mystic Village. We live in a very small neighborhood, & we're typically lucky if we get one or two trick or treaters. 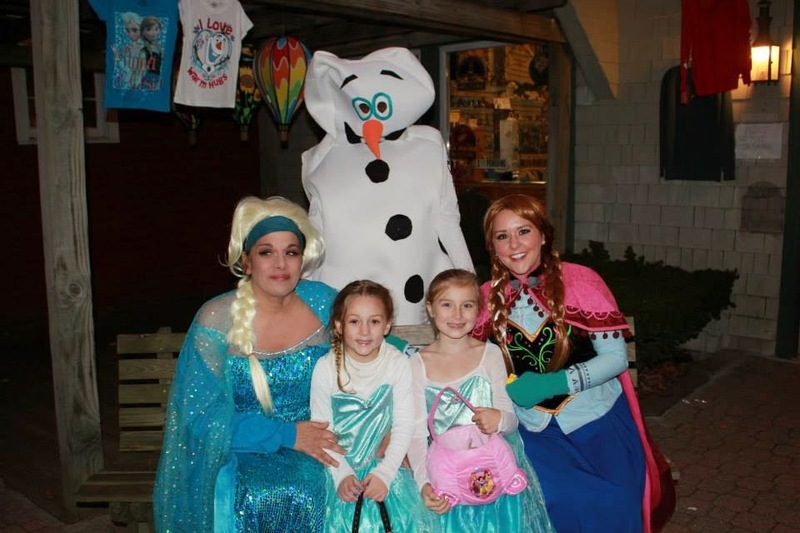 We thought our neighbors would get a kick out of a visit from a cute little Elsa. 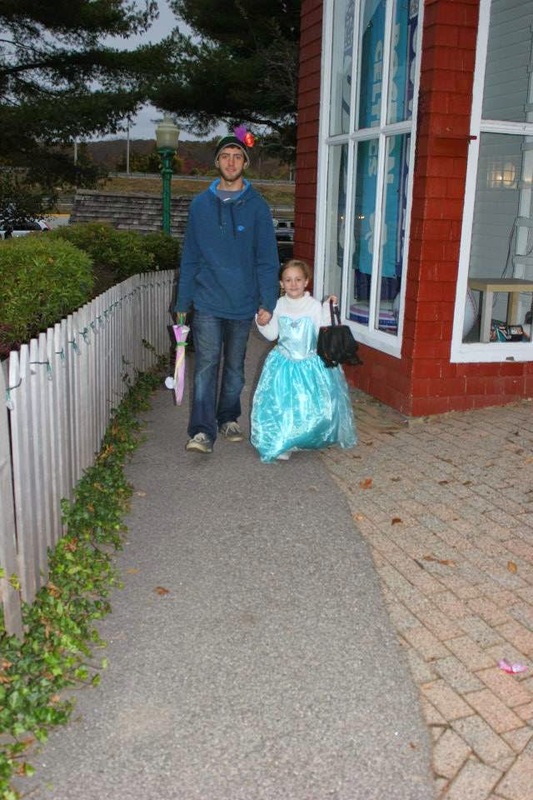 It was really neat for Daddy & I to walk with you as you trick or treated through the neighborhood for the first time. 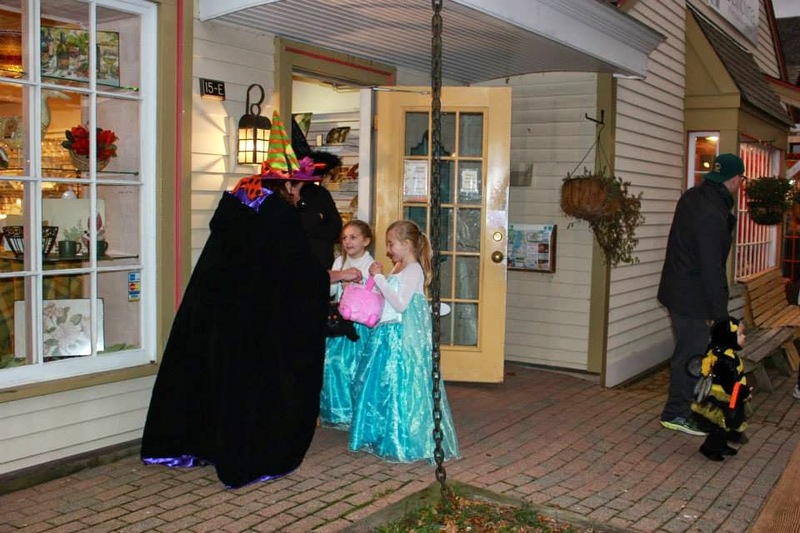 Our neighbors smiled as you gave them your very best "trick or treat." 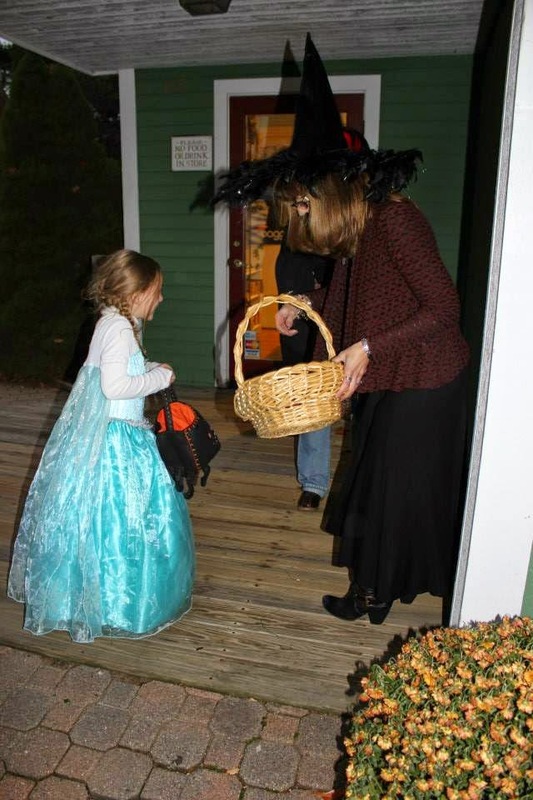 One neighbor told us you were her first trick or treater in 3 years! As a result, almost every single house gave you handfuls of candy. "Mom, this is the best Halloween ever," you exclaimed to me after getting a particularly hefty amount of candy at one house. You thanked everyone so sweetly, & we all wished each neighbor a Happy Halloween. We returned home after six houses. It was sprinkling outside. Your candy bag was overflowing with candy, & our hearts were happy. While your Halloween was coming to an end, Daddy's, Jared's & mine was just beginning. 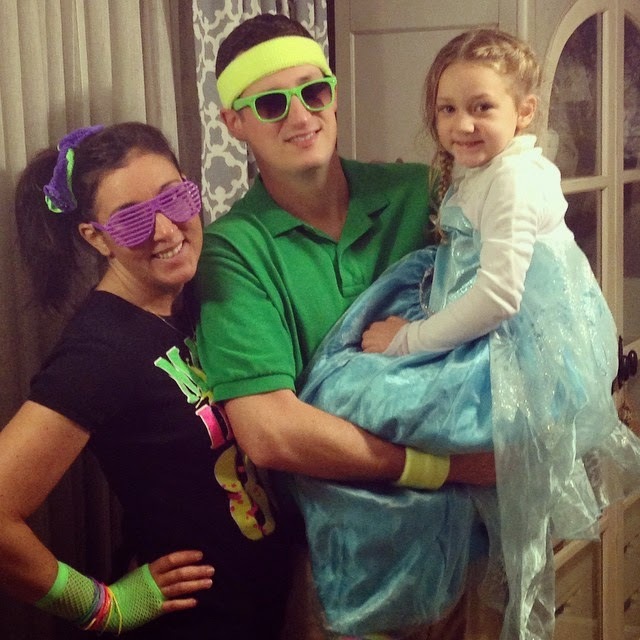 We all dressed up before heading to an adult Halloween party. We took pictures with our adorable Elsa before changing you into your jammies & dropping you off at Grandma & Papa's house. We were lucky that the rest of the weekend was cold & rainy, because a couple of jammie days were exactly what we needed to recover from an amazing whirlwind of a Halloween. 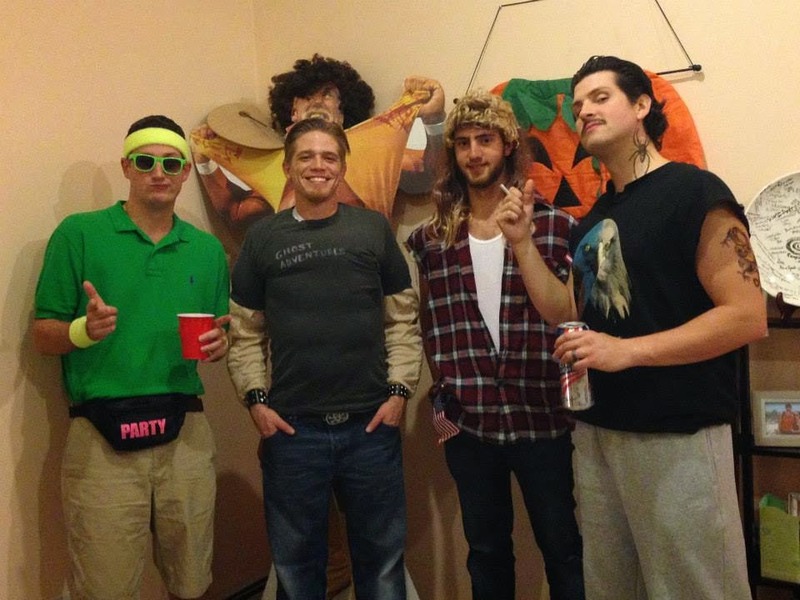 You already have your costumes planned out for your next six Halloweens. 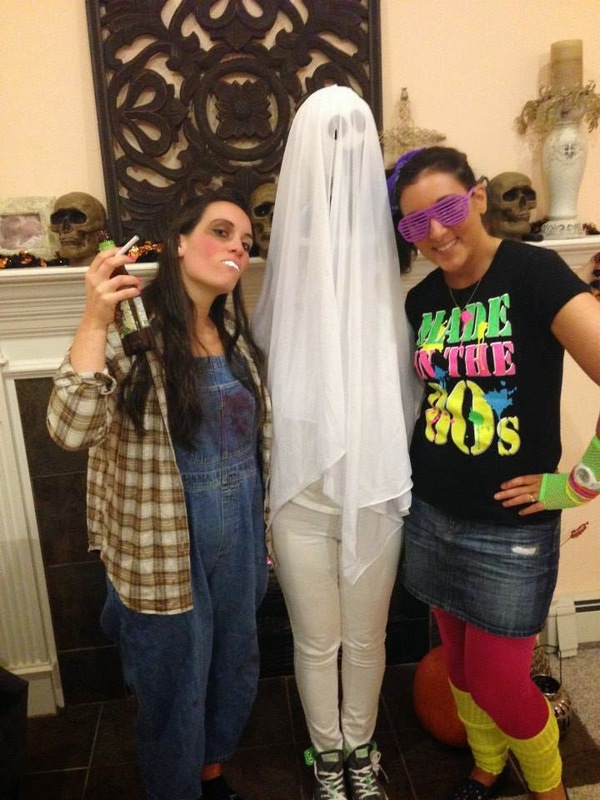 You've reminded me at least 47 times that I should start thinking of my costume for next year, because I "can't be a girl from the 80s again next year." For now, I'm happy to relax & reflect. 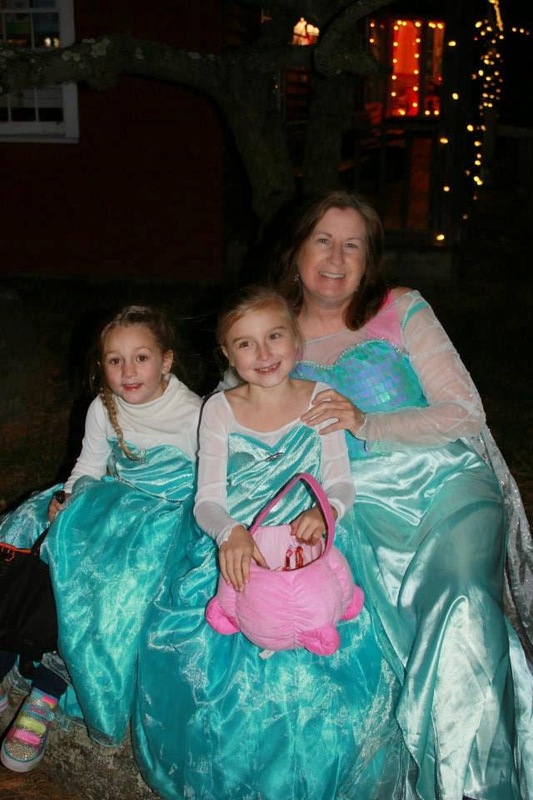 Before jumping into the next holiday season (or the next six Halloweens), it makes my heart happy to think about how much our little Queen Elsa sparked & smiled as she told us this was the best Halloween ever.